For the group that's quite large but large enough to require a mini coach, the 17 seater minibus hire Oxford and 18 seat minibus hire are both excellent options that will ensure you get enough space for just about anything. If you have a lot of luggage in your group then this particular option can be a great choice for you. For example if you have an event you're planning and you have some supplies you need to get to the venue, this may just be the minibus option for you. To ensure that you get the sort of travelling experience you're looking for, there are plenty of additions we can make to the vehicles. The extra space you get in the minibus isn't the only reason why these two options work out so well. For a large group, these minibuses are a very good bargain and our affordable prices will definitely be easy on your pocket. Hiring a minibus is a much better option when you're talking about a group of people compared to something like a taxi. Using a taxi may also come with other restrictions such as not being able to take you to whichever part of Oxford you'd like to visit. This can be a bit inconvenient but nowhere as inconvenient as using a bus. As with all other types of public transport, you have to take into account the bus's timetable which may not work for you. Even if the time-table works for you, if the bus is late that will also mean you'll be late. When you're going around the city in a large group, you may also miss the convenience of a bus with enough space for everyone. When you compare all this with the 17 seater minibus hire Oxford and 18 seat minibus hire, the difference in convenience is huge. You may even get to spend less money when all things are considered. You will not have to worry about being late.  We work with your schedule and our drivers are extremely keen when it comes to keeping time. We can pick you up from a particular location which may help if you're running late. Of course, the comfortable seats in our minibuses make for a much better travelling experience compared to what you'd get when you go for other options. Comfort isn't a last minute addition in our vehicles, it is part of the design and this is why we do it so well. Many minibuses will let you down when it comes to this because even when the seats are comfortable, sometimes the space available isn't properly thought out. This can lead to a cramped travelling experience which nobody enjoys. We use various great options for upholstery including fine cloth and leather. The level of comfort we achieve as a result is all a customer could ask for. Passengers travelling at night will appreciate the kind of lighting we use in our vehicles. Whether you're a reader or looking for something that will allow you to relax, our lights will be adequate for the job. Translucent windows work quite well for customers who want a little bit of privacy while inside the vehicles and our entertainment systems will provide the sort of distraction you need. Get in touch with our customer service representatives today for more information.